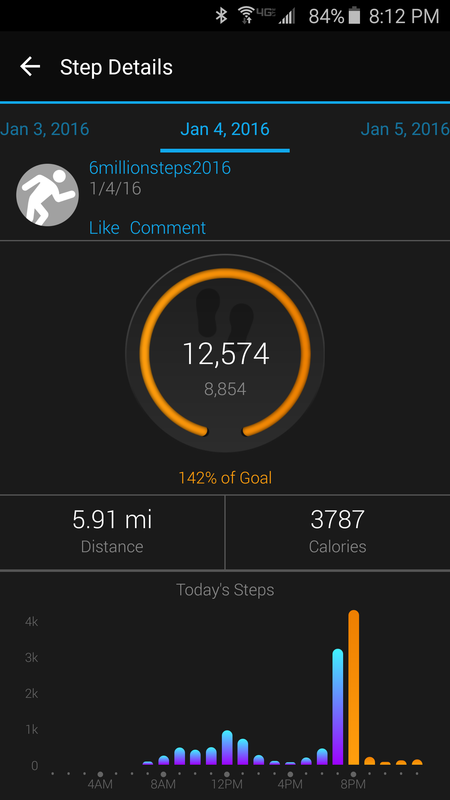 Well the hour at the gym on the treadmill helped me get a 12,000 step day. Hooray!! My boss asked me ” if I have any pain with all the walking?” Yes, I do have some pain but haven’t wanted to blog about it. But for those wondering I have had two small blisters, and right ankle and foot pain. I view it this way, any physical challenge will have pain and if you start focusing on the pain you have more potential to fail. So I am pushing through…and of course medicating as needed.